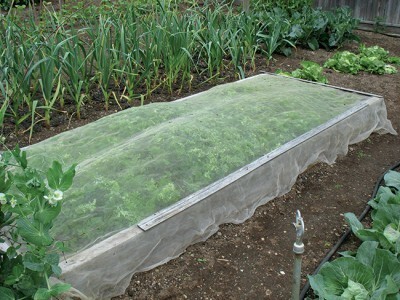 Plant Support Netting, also known as Trellis Netting, is a great way to increase crop yields. 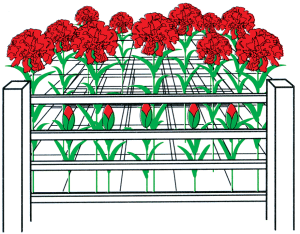 The wide openings allow for easy access during harvesting. 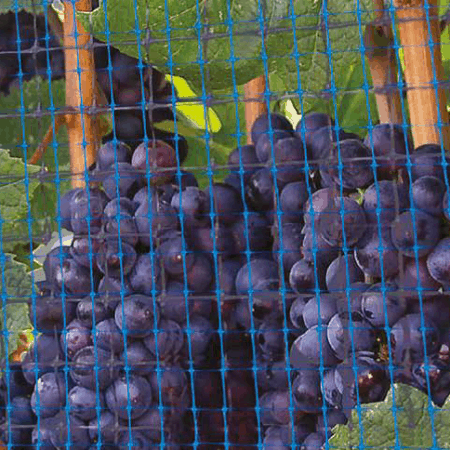 Plant Support Netting increases yield by allowing for more sunlight and air exposure, while decreasing ground rot and pest damage. 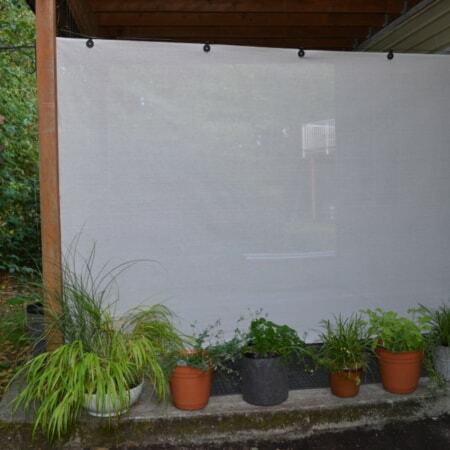 For suggestions and more information please see Product Description below. 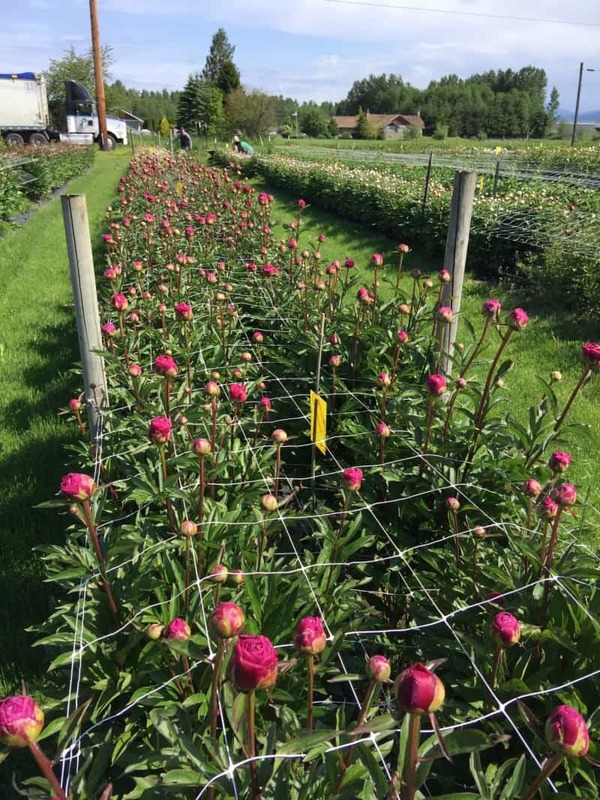 A special thanks to PURE PEONIES in Everson, WA for the photo! 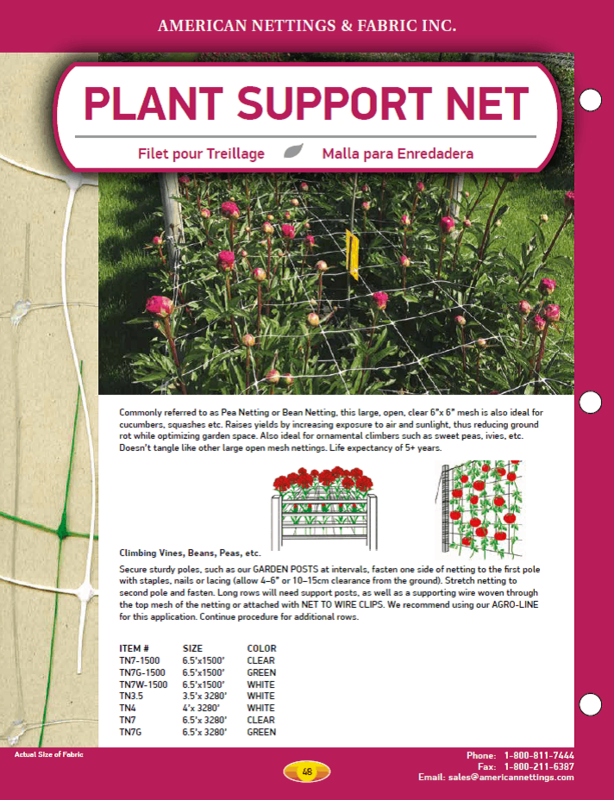 For smaller sizes please see Trellis Netting. 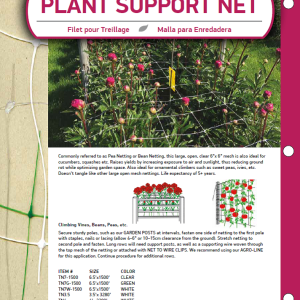 See also Trellis Netting Odds & Ends for discounted Trellis Netting. 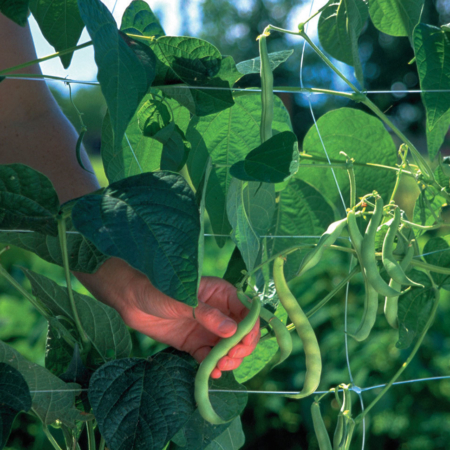 Our Plant Support Netting is used in a multitude of crops, whether horizontally to keep flowers stems supported and straight, to prevent greenhouse grown potted plants from blowing over from fan directed air, or to support, train, and prevent rot in vegetable plots. 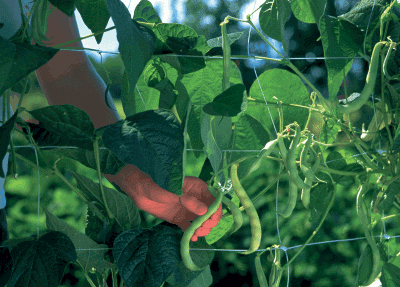 Used vertically for commercially grown bean, peas, etc. 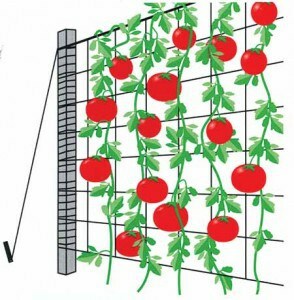 this product will also help support branches against wind and rain, when erected on both sides of the crop (sandwiching). Life expectancy of 5+ years. 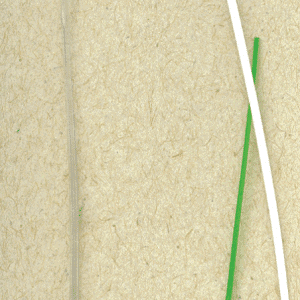 Secure sturdy poles, such as our Garden Pole Sections at intervals, fasten one side of netting to the first pole with staples, nails or lacing (allow 4-6″ or 10-15 cm clearance from the ground). 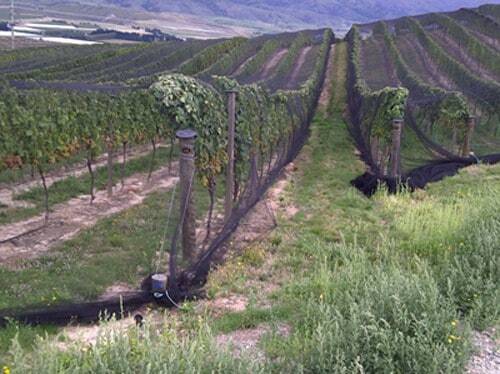 Stretch netting to second pole and fasten. 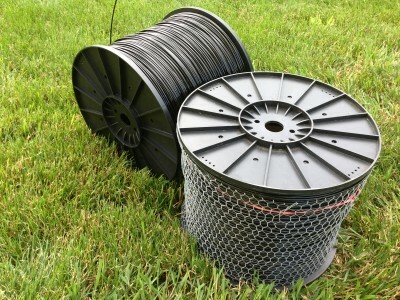 Long rows will need support posts, as well as supporting wire woven through the top mesh of the netting or attached with Net to Wire Clips. We recommend using our Agro-Line for this application. Continue procedure for additional rows.